The Simple Download Monitor & Manager Plugin allows you to input an ad below your downloadable items. 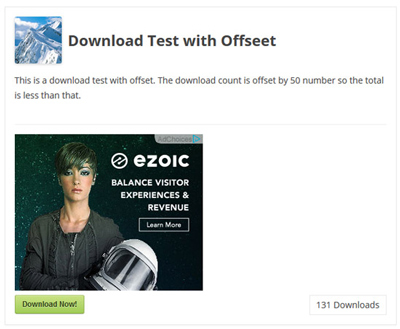 All users that come to your site will see your ad above the ‘Download Now’ button. This ensures maximum viability of your ads. Adsense can be used or alternatively admin can create their own visual ads. 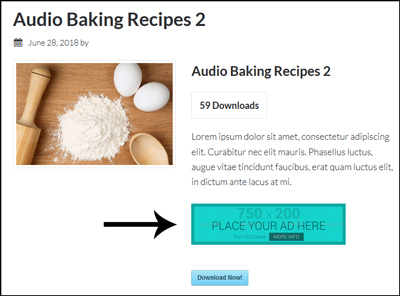 The ad insertion feature of this plugin allows you to display promotional content to your viewers easily. What is an Internet Ad? Using the Simple Download Manager Plugin you have the ability to market to your viewers. Website advertising allows you to deliver promotional material to your customers. High traffic websites have the ability to make an earning purely through advertisements. Ensure you have the latest version of the Simple Download Monitor & Manager Plugin installed and activated on your site. Click on the Settings menu under Downloads. Choose the Advanced Settings tab. You will see a section titled Adsense/Ad Insertion. Copy and paste your ad code into the Below Download Description field. Your ad will now appear below all of your downloadable items. 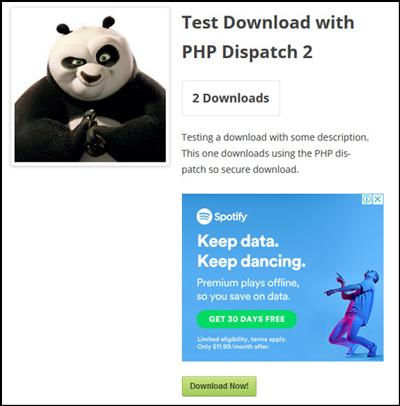 The advertisement you configure will show below the download item description on all individual download pages and when you use the fancy=”1″ display.